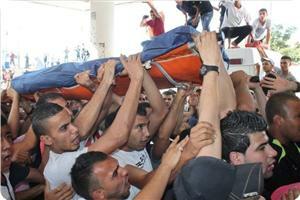 Newborn baby died Saturday after he made his way to life Friday on the Egyptian side of the Rafah crossing. Ministry of Interior reported medial resources as saying that Mohamed al- Mashharawi was born Friday at night at the Egyptian side of the Rafah border crossing after his mother waited long without being allowed to cross into the Gaza Strip. "The child’s mother Iman Mashharawi coming from Algeria on a visit to Gaza was had to pass the night at the Egyptian crossing’s cafeteria before giving birth to Mohammed on Saturday," the sources said. 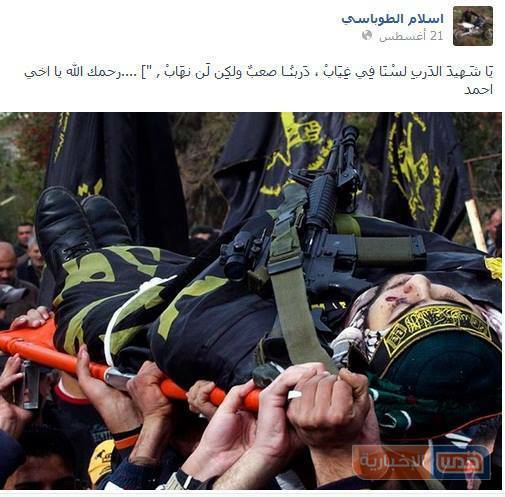 Palestinian citizen al-Mashharawi gave her child in late at Friday’s night who died this morning at the crossing. Up to the moment, one bus, three ambulances, and a number of Ministry of Religious Affairs coordinators for ‘pilgrimage to Mecca’ season have been allowed in the Egyptian territories. The crossing should have been open today, Saturday, for those booked to travel on the 8th, and 9th of September, as well as those turned back in the past openings of the crossing, and for stuck students. Malfunction in computer network at the Egyptian side of the Rafah crossing disrupted operation, Director General of Border Crossings in Gaza said, citing the Egyptian authorities. Five days after his death, the family and friends of Ihsan Abu-Sitta are still in shock. 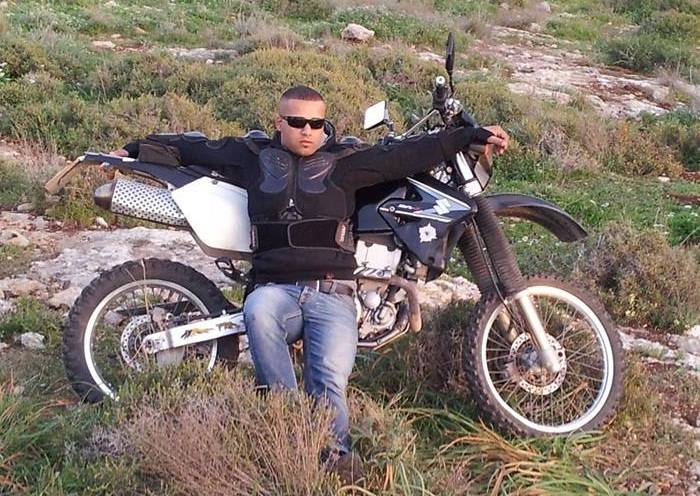 The Palestinian worker died in Tel Aviv after his boss tossed him to the side of the road when he was injured at work; he was left to bleed to death. 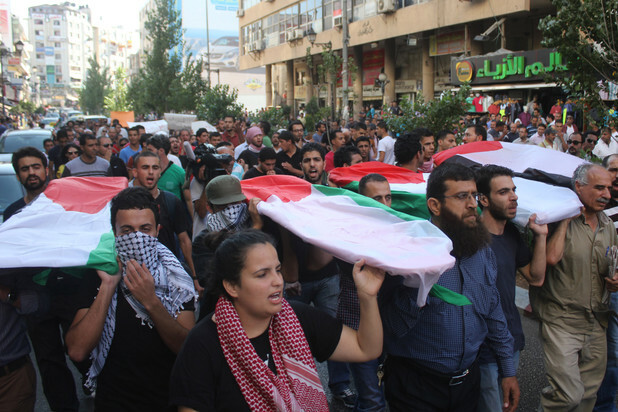 People came from all over the occupied West Bank, the Negev Desert and Jaffa to attend his funeral in Askar refugee camp on the outskirts of Nablus. Amira Hass, writing in Haaretz newspaper, said that family and friends from Gaza are still waiting for permits from the Israelis to allow them to travel to pay their respects. According to Hass, people cannot believe the manner in which Abu-Sitta was left to die. “It is painful,” said Ziad Abu-Sitta, a relative of the dead man. When an ambulance was eventually called and Abu-Sitta was taken to Sourasky Medical Centre, one of the nurses went through the contacts on his mobile phone and called one at random. The number turned out to be one of his relatives from Jaffa, who contacted another relative who finally contacted the family in Askar camp. 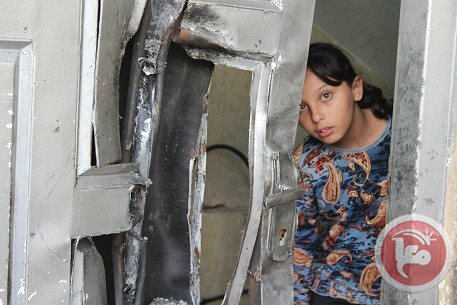 That was at about 5:30 pm on Monday, September 16; it was only through the Israeli media that the family heard about what had happened. Abu-Sitta did not talk much about his job, as he was facing difficulties in finding an employer assigned by the Israeli employment office, in the context of the limit of Palestinian workers set by the Israeli government. As such, he was forced to live between temporary jobs here and there. His wife Suad, his three sons and four daughters did not know where and how he left the West Bank without a permit to go to work in Israel. 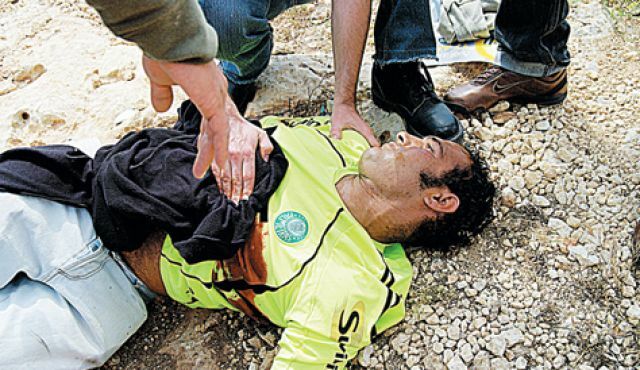 They do not know how long he worked for his final employer who tossed him, while injured, onto the side of the road; according to Haaretz, though, they do know that the callous man was called “Ravi”. During Ramadan, Abu-Sitta got a one month permit from 8am-10pm in order to visit his family, and he used it to stay in Israel and work. As his family grew, Ihsan added extra floors to his house in Askar Camp. Six years ago, he underwent an angioplasty, but that did not stop him from going to work in Israel. The last time he spent 5 days at home with his children and grandchildren was during the Jewish New Year. According to Hassan, he had started working in Israel 25 years ago and until the second Intifada he had obtained permits to work for a contractor from Netanya; his sister, Raja’a, said he started working when he was 16 years old for the Mekorot Company. Amira Hass visited the bereaved family’s home and found out that Ihsan had wanted to give Hassan an education; the young man left his education in order to work and bring some money into the family home. 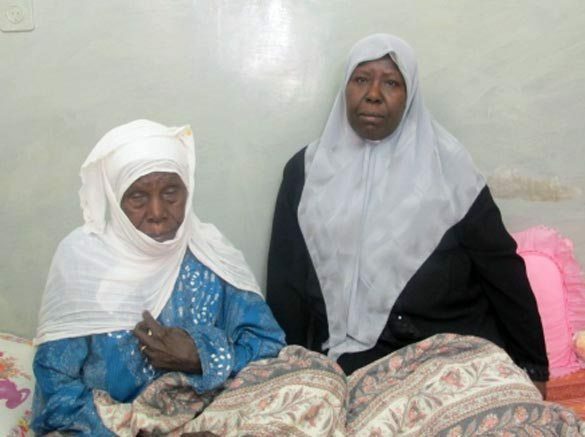 The dead man’s mother, said Hass, is 75 year old Fatima. As she sits on the side of her bed with great sadness in her eyes, she still does not know that her son was left to bleed to death by the side of the road. Hassan insists that the family will spare her that terrible final detail. Before his meeting with Obama, Palestinian President Mahmoud Abbas met with Jewish leaders Monday to condemn the deaths of two Israeli soldiers last weekend. Abbas also called on Israel to condemn the killing of 4 Palestinians by Israeli Occupation Forces (IOF), who died over the past few weeks, Israel Radio reported. Abbas, planning to meet with US President Barack Obama on Tuesday, is in New York to give an address to the UN General Assembly. The comments came in response to complaints made by Israel to the US claiming that the Palestinian Authority had failed to cease violence against Israel and Israelis. This complaint was provoked by the death of two Israeli soldiers over the weekend. Abbas condemned all acts of violence, adding that he expects Israel to similarly condemn the killing of four Palestinians by Israeli forces in recent weeks. 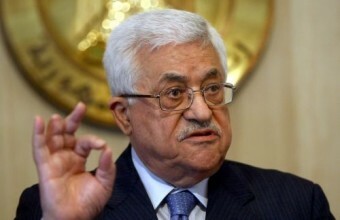 Abbas was also quoted as saying that the idea of one bi-national state is becoming more popular among Palestinians, despite his own preference for a two-state solution. Lip service Meanwhile, Palestinians are left with nothing but pointless lip service from Mahmoud Abbas. After every violation, he claims that those violations might damage the futile “peace” process. Remembering is essential Remembering Jihad Aslan and other victims of Israel’s colonialism is essential, not just because of the recent clashes in Hebron and the arrest campaigns that followed the killing of two Israeli soldiers in the past week. A 40-year-old heart patient died in Breij refugee camp in central Gaza Strip on Monday night after he was blocked from travel via the Rafah border crossing for treatment abroad. Brother of the deceased man, Wa’el Abu Saada, told the PIC reporter that Wa’el had tried more than once to travel via Rafah crossing en route to Jordan for treatment but was always denied permission by the Egyptian authorities. The patient has been suffering from heart disease over the past ten years and was hoping to undergo a surgery in Jordan to implant a pacemaker for his heart after his health condition worsened over the past two years. 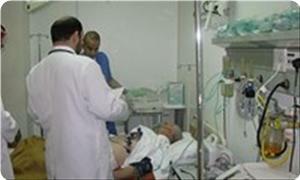 Wa’el Abu Saada died in a heart attack on Monday night before arriving at Shuhada Al-Aqsa hospital in Deir Al-Balah. Member of the political bureau of Hamas movement Ezzat Resheq condemned the raid into a house in Jenin refugee camp, and the killing of a young man by the Israeli occupation forces. Israeli soldiers in armored and military vehicles stormed a house in the Jenin refugee camp and killed the Palestinian youth Islam Hossam Tobasi, aged 19. 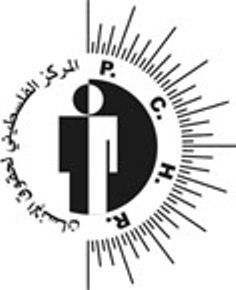 Resheq said, in a press statement on Tuesday, "This is a new crime to be added to the series of the Israeli ongoing crimes against the Palestinian people. The crime is committed regardless of the negotiations and security coordination between the (Palestinian) Authority and the occupation." He stressed that Israel is using the futile negotiations, to cover its abuses and attacks on the unarmed civilians. The Hamas official called on the Palestinian Authority and all the Palestinian forces and factions to take bold steps vis-à-vis the Israeli continued crimes in the occupied West Bank, and urged the PA to halt the negotiations and all forms of security coordination with the occupation. He also called on the Palestinian people to resist the occupation crimes and plans. Resheq offered condolences to the family of the martyr Husam Tobasi and hailed the Palestinian people in the Jenin refugee camp and in the cities and villages of the occupied West Bank for their steadfastness in face of the occupation’s criminal practices. A Palestinian worker working for an Israeli contractor, without work permit, was seriously injured at a renovation site in Tel Aviv, and instead for calling for professional medical help, the Israeli contractor dragged him onto the ground and left him to die on the sidewalk. 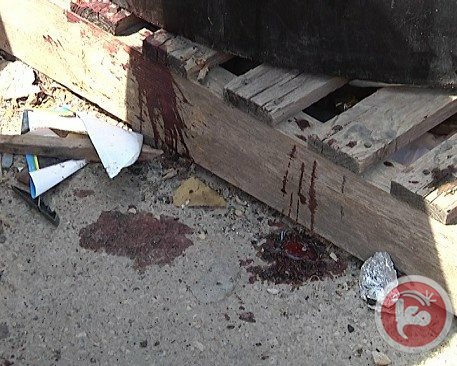 Israeli daily, Haaretz, has reported that the Palestinian man, identified as Ehsan Abu Srour, 54, from the Askar refugee camp, in the northern West Bank city of Nablus, suffered serious injuries and was abandoned by the contractor, who did not even try to resuscitate him or call for help. Haaretz said that the man died on the sidewalk in an area south of Tel Aviv, and that a passerby found his body in the morning. The body was then moved to Ichilov Hospital in the city. The deceased, was left without any help until a teacher, identified as Nicolas Cascallar, tried to resuscitate him after he noticed that he was alive but in a very serious condition. He told Haaretz that liquids were coming out of the mouth of the Palestinian worker. Talking to Haaretz, several eyewitnesses said that they saw the contractor arriving at the construction site, and that after he saw that the man was seriously injured, he and two other workers, dragged him to the sidewalk where they left him for dead. Another witness said that he shouted at the contractor and the workers after they threw the seriously injured man onto the sidewalk, and that he even saw the injured worker in the construction site just a few minutes before he was injured. He also said that anther witnesses even suggested calling for an ambulance, tried to give them their phones to call 911, but the contractor just locked the apartment and told his workers to run away. Haaretz added that a Palestinian worker, identified as Hussam Faraji, told their reporter that he has been working for the Israeli contractor for a long time, and has been working that site for about a week. He said that it seems that the worker was working with a hammer, and apparently something fell on him causing serious injuries, and that he witnessed the contractor and two other workers carrying the worker by the hands and feet before they threw him onto the opposite side. The worker told Haaretz that he confronted the contractor, telling him that he should call for an ambulance, try to save the man, “instead of just throwing him like a dog, but he locked the site and escaped”. 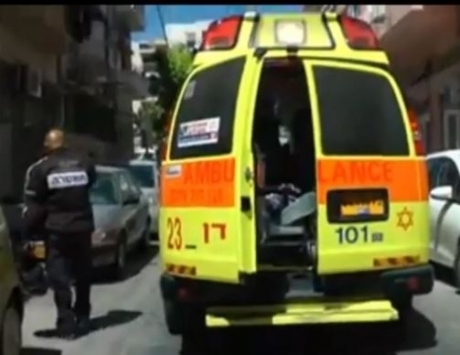 Talking to Haaretz, the Israeli contractor denied the “allegation” and said that he gave testimony to the Police in which he said that “he tried to resuscitate the man for about an hour”, and that he has no connection to the apartment where the accident happened. However, Faraji said that the man has been working for the contractor for over a week. The contractor initially denied knowing the man, but later said the worker came to the site only to offer a price estimate. A 19-year-old Palestinian, Islam Hussam Saed al-Tubasi died of injuries sustained a while ago, during the ongoing clashes in Jenin refugee camp Tuesday. Tubasi was injured after Israeli forces raided his house at dawn, destroying doors, and arrested him. He died a while later in one of the hospitals inside the lands of 1948 after being brought by an Israeli ambulance. Palestinian security sources said that more than 20 military vehicles raided the camp amid heavy fire, teargas and stun grenades. The forces broke into several houses and exploded their gates. The violent clashes that erupted between young Palestinians and Israeli forces led to the injury of several Palestinians, including children, and several others suffered suffocation due to teargas inhalation. Among the children was a 13-year-old boy, Saleh Nael Ghazawi, after he was shot with a bullet to his left leg and was transferred to one of the hospitals in the city. 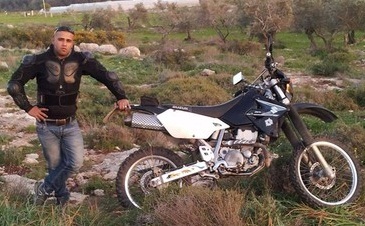 Israeli forces also arrested the 21-year-old Mohammed Bassam al-Fayed.